The last few weeks of school I found myself wrapping up our new reading series with the students, and applying all of the skills we had learned throughout the year. 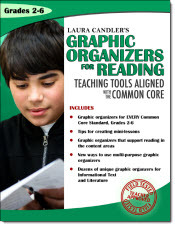 Our last unit was heavy on non-fiction text, so I was combing through my brain thinking of new and different ways to respond....when on my doorstep appeared Laura Candler's new book,Laura Candler's Graphic Organizers for Reading: Teaching Tools Aligned with the Common Core. It showed up just in time to save the day! Let me preface this by saying that Laura did send the book to me, but my review is in no way clouded by that. The opinions stated here are my own. As I browsed through the book, there were quite a few of these organizers that caught my eye...mostly because they DIDN'T NEED COPIES to use! You see, this isn't a worksheet book, so much as a book with things that can be reused or created into foldables using plain paper. Case in point, this one. This is an Informational Text Response page (perfect for my non-fiction text about Hot Air Balloons we were reading that week!) All I had to do was copy the one page for each group, and the kids were off. (I am planning on laminating them for reuse later) When the students were working with this organizer (making connections, listing vocabulary, looking at text features, etc...) I was LOVING the discussion that was going on. The students really wanted to make sure each section was completed and correct, which caused a great deal of meaningful discussion to occur. Another one I used with this specific story was this text feature organizer. If you have been following my blog, you know I am into text features this year. I really liked this one because it asked for the specific things that the text features were teaching in that specific story (can I use the word specific any more???) I can see using this in so many different ways, in social studies and science. Next year, this one is coming out right off the bat! Finally, I want to share this GEM with you. I am so in love with this foldable, I can not express just how much. I used it with root words (as you all know my love of those!) Next year, I am using this one from day one with our root word studies. It was just perfect! I love the diagonal, which lends itself well to a word/illustration section. Inside, there was so much room to write just what I needed the kids to write (in this case a definition and sample words containing the root) I also love that no copies are really necessary for this one. Once the kids know what to do, they can create it without making a copy. OK...so there you have it. I really do enjoy this book. There are many, many more organizers in there that can go with just about any book you are reading in your class. I recommend it for all upper grade teachers. And with that, I am giving a copy away to one of you! Congratulations to Erin T!!!! If you would like to check out the book even more, and sign up for a free Webinar that Laura is giving about the book, click here to go to Laura's blog. You can buy your copy of the book and get the free digital download too! I like to use graphic organizers in my reading notebooks so that the students can see the information in many different ways. I think these really help with understanding for the students. I am crazy about planning for this notebook for next year. Foldables and graphic organizers are a must. Was there supposed to be a link to TPT? UGH! Sometimes technology is frustrating! I use them with interactive notebooks. Isn't Laura Candler stuff wonderful? I love that graphic organizers can be used with any subject...so once students learn how to use them...it's magic what happens in the other subjects too! This would be great! The kids and I already use Interactive science notebooks, and these would just make it even better! I use graphic organizers for many subjects. I feel that my 2nd graders need them to learn how to organize their thoughts! Love, love, LOVE your blog! I love all your ideas and have used so many! Graphic organizers are a great way for students to make sense of a difficult concept! I would use these graphic organizers during group work. Students would work together to note important information from our weekly selection. Also, the organizers could be used for review in groups. Students do a great deal of talking in my class. I use graphic organizers daily in both literature and science class. I don't know what I'd do without them!! I love to see my kiddos progress in their thinking skills throughout the year as they become more experienced with teamwork and using graphic organizers. Since I don't get to teach reading, I'll tell you that In my counseling office, we use graphic organizers to talk about behavior choices . . . the tree map or a circle map with values and their corresponding behaviors work great! Kids love to complete these maps and I'd love to read Laura's book! Wow! My district uses Mind Maps across the curriculum. I have a bulletin board in the back of my classroom that reminds my students and I of the different types. Such great graphic organizers! I plan on using interactive student notebooks this year with my special needs students. I especially love the text features organizer! That book sounds amazing. I'm a big fan of graphic organizers and hope to use them more next year! I have used them to compare/contrast characters. I used them mostly in organizing writing thoufhts. This year I would to use them more. Love foldables and graphic organizers! That root word foldable is such a great idea. I'll definitely be trying that with my word study groups next year. Thanks for sharing! I love LC stuff! 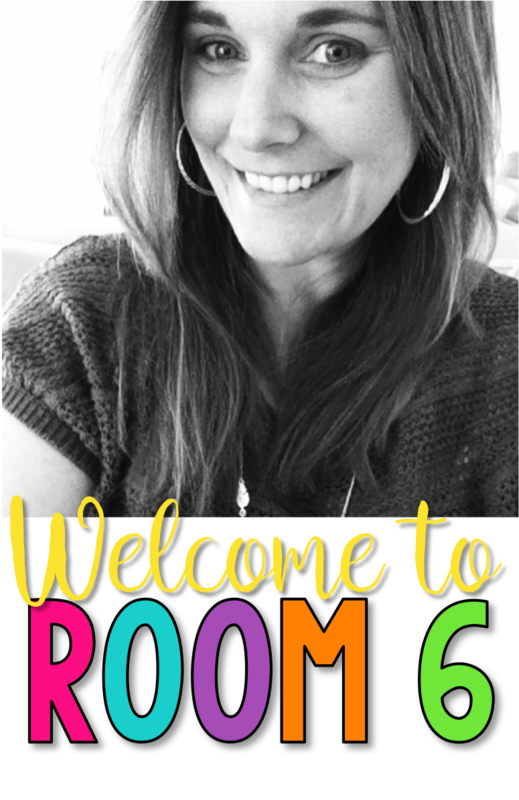 I amusing The Common Core Lesson Book K-5 by Gretchen Owocki. It is a set of reading GOs with whole group, small group, and individual lesson plan ideas by reading (info, lit, and foundational) standards. I also like how it shows the K-5 vertical alignment of that standard. I use graphic organizers a lot in my classroom. I teach ELL students and graphic organizers are so useful in helping ELL's understand the concepts being taught. Will have to get this book. Sounds just like what I need. In answer to your question, a couple examples of using graphic organizers in my class are during our explorers unit in social studies (my least favorite) we categorize them into who, where, when, and why. I also like to compare and contrast our class read-aloud books as we do them. Thanks again for such a great site. I teach first grade and use graphic organizers to help my students compare and contrast, to sequence stories, and to help then understand and talk about cause and effect. This sounds like a great book! I really like using graphic organizers in reading and in writing. I spend a lot of time modeling how to fill them completely. I'm signed up for the webinar on this book in July; it looks really great. I do not teach in a state with common core, but good teaching is good teaching, no matter what! I am hoping to use graphic organizers more often next year, especially with nonfiction text! I love graphic organizers! I too spend a lot of time modeling how to fill them out correctly and fully. My children always say they love using organizers because it helps them "see" the material. Their favorite one is a Story Star for our novels. IT is fun to watch them get in their groups and automatically draw the star. I love these organizers for informational text. I can use this along with my text mapping strategy. Thank you for sharing. I would love this book to help my 2nd graders in reading! I use them for vocab and end of story reflection. I love graphic organizers and use them in all subjects. I feel like a graphic organizer provides students an organized method for recording information. I like the versatility and adaptability of graphic organizers. I think incorporating more graphic organizers like this in to my text feature unit would definitely help my students as well. Great ideas here! My kids loved making anything foldable! I love using foldables in my kids readers notebooks. They r great to refer back to when reviewing skills! I use graphic organizers to compare/contrast as well as sequencing. I'm look forward to some new ideas! I love the enthusiam you display in your blog. I'd love to a kid in your class!!! I love this post! I'm moving up to teach third grade this year, and I really want to incorporate more foldables into daily learning. I would LOVE to win Laura's book! I taught 6th LA this past year, and I used graphic organizers all the time! I used them for many of the comprehension skills- cause/effect, problem/solution, character traits, etc. I use them to help hold their thinking during reading, as well as demonstrating their learning of the story/skill after reading as well! I use graphic organizers to summarize what they've read. Wow, what a great resource! Who doesn't love a book where you don't have to make copies?! Thanks for sharing! I love the text features graphic organizer and the informational text response. With the emphasis on informational text in the common core standards, I will definitely use these ideas. Thanks! I work with students who are often significantly below grade level. Graphic organizers really help them make sense out of what they are reading. I really liked the one you showed using text features and noting how the features help with comprehension. That one would be really helpful, I'm sure. In my district, we use thinking maps! I would love to see different graphic organizers! I've been trying to find different and effective ways to use graphic organizers. This book looks great! I use graphic organizers to help the students understand the different parts of the story, help them organize their thoughts before writing summaries of their reading, and just to help them understand what they are reading. I loved working with GOs in my own classroom and now encourage their use with the student teachers I supervise. They are one of the most meaningful tools for reading comprehension...as well as many other purposes. My favorite ones are the ones the students make themselves...no running copies!!!! Foldables are great GOs. I'm always looking for new ones to share so I would love to win Laura's book. Her resources are fantastic. Thanks for the opportunity to win. Graphic Organizers are great, even for younger students - it helps them understand the concepts being taught - I really need to win this book and gain great resources for Graphic Organizers. Thanks. I have used the vocabulary foldables before. They really helped my struggling readers master the week's vocabulary. I am using graphic organizers a lot because it is part of the Common Core Standards, and because most students are visual learners (me included). I have an extremely low class next year. I think graphic organizers is the way to go. I will have 32 plus fifth graders next year and I need to find better and more effective ways to teach this new class. I like how you used organizers to minimize copies etc. Plus this will be very effective with common core implementation. Wow! This book sounds like it will help my students and me as we enter into the Common Core era. I would love to use some of these activities to get them into breaking down the text they are exposed to. I look forward to exploring it over the next few weeks of "vacation". I love using graphic organizers to help students differentiate between the important content in a text and the (as my kids call it) "good stuff." When they can break the text down into the most meaningful parts, they are better able to understand what they're reading. I love the visuals that graphic organizers can provide for students. I love to use graphic organizers to stretch 3rd graders into writing longer passages! 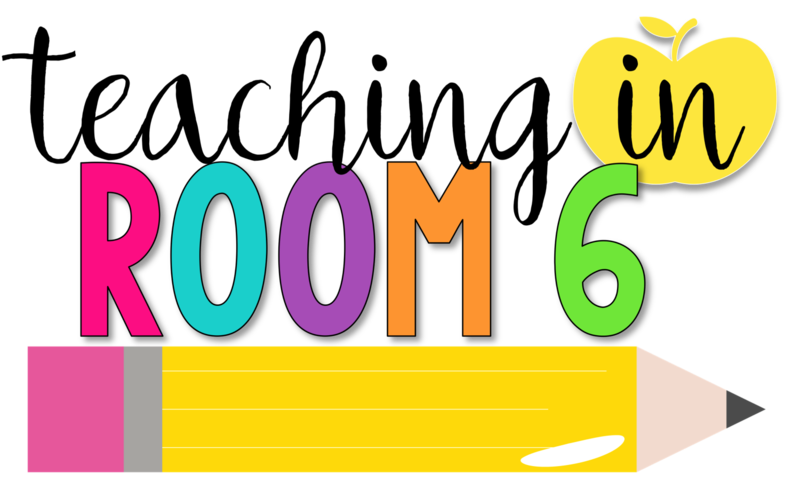 I'm looking for graphic organizers to use in our notebooks especially ones that are aligned to common core. We use Reading Street in my district. Supplementation of graphic organizers is essential to keep the students' focus. Thanks! Oh I love the look of these! I'm a final year preservice teacher and we haven't been shown anything like this - they look fantastic ways to let the kids show what they know. I haven't used graphic organisers, but I like that they could be used across the curriculum. Maybe linking different subject areas. I didn't follow directions the first time. I love graphic organizers for my visual learners. Also, I find them useful in assessing my students' abilities to visualize, summarize, etc. I think graphic organizers are a great way to break down the information presented in a text and to really "visualize" important information. I would use this in my K-4 science class for when we read expository text! Graphic organizers are so important for our ELL students, not to mention how they keep everyone organized. I use graphic organizers across the curriculum, as I really appreciate that they help to reach all our learners. They can certainly help kids "see" what they may not have before using the organizers! I would like to implement this more in my Science class! Vocabulary is vital to success in this content area subject. I love the use of graphic organizers in all areas of study. Thank you for being so open with how you have had success within your classroom. I hope to have some of the same in my own. And we have a winner! It is announced above on the Rafflecopter. ERIN T, I have sent you an email!